Layer up in style with this chic lightweight cardigan. 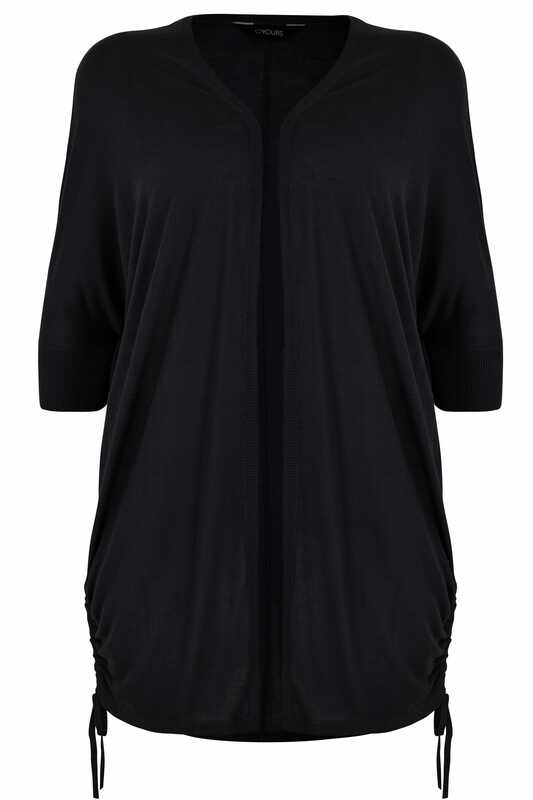 In a flattering batwing shape, it features ruched sides with a self-tie fastening and is finished in a longline length for good coverage. Team with a simple cami and jeans for everyday appeal. Comfortable, stylish and easy-to-wear, we love its fine knit fabric.